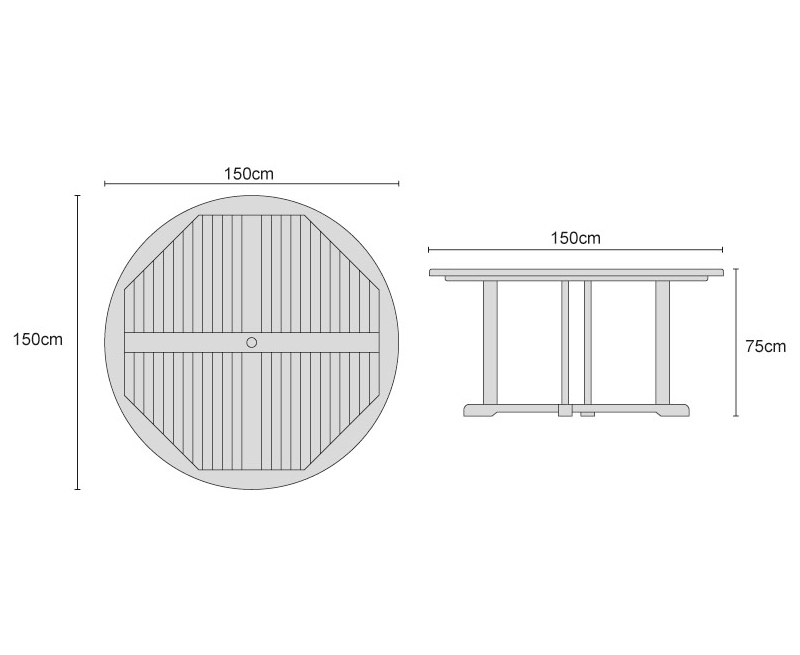 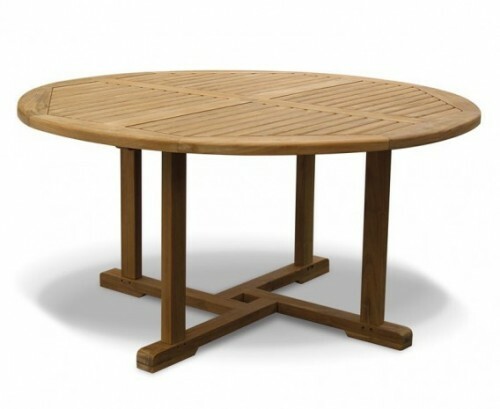 This round 1.5m teak table and 6 reclining chairs set offers a wonderful combination of solid construction and a traditional style that can be incorporated into any patio or garden setting for al fresco dining at its best. 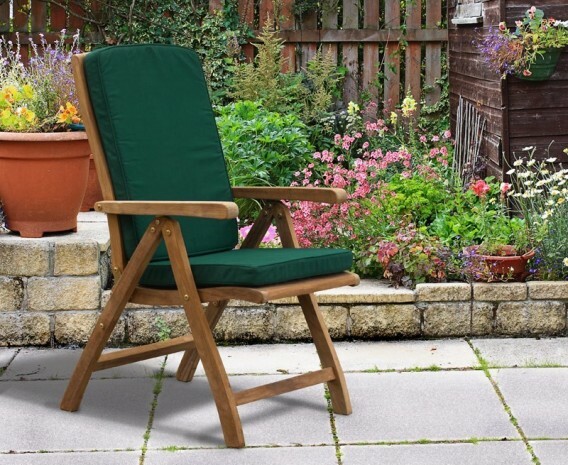 Expertly constructed in the very finest A-grade teak, this round teak table and 6 reclining chairs set has been built to stand the of time and can remain outside all year round with minimal fuss, ensuring stress-free fruitful use for years to come. 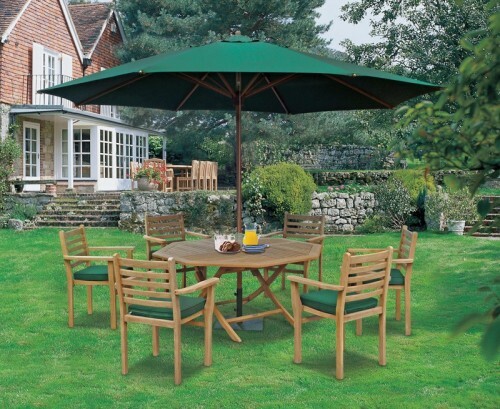 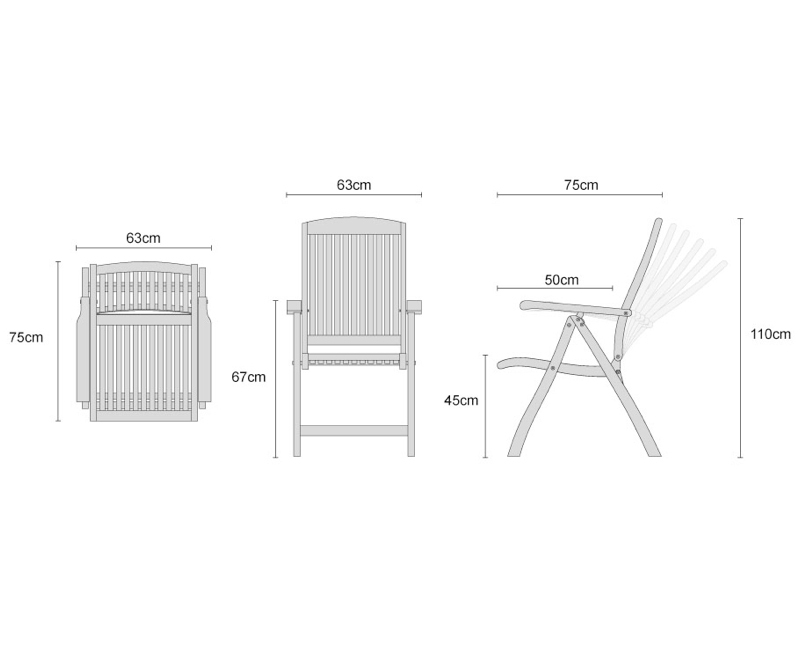 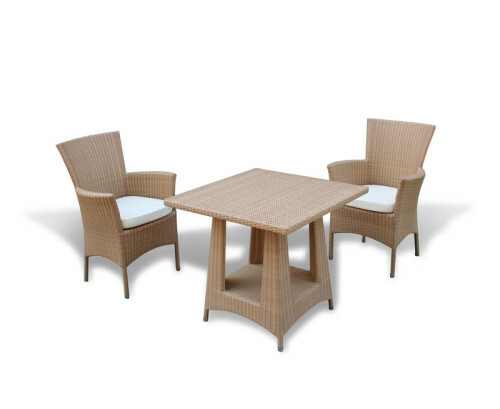 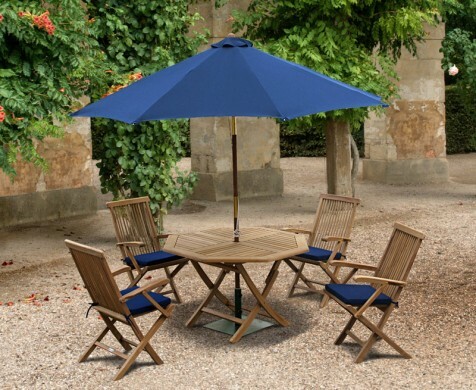 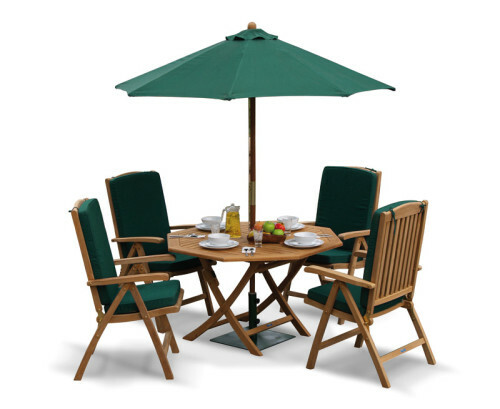 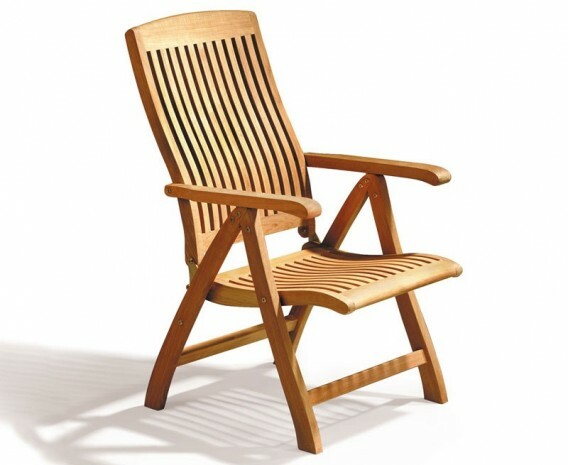 Combining the benefits of style and functionality, this round teak table and 6 reclining chairs set can be utilised without sacrificing a great deal of space; What’s more the chairs fold flat for space convenience and can be easily stored away when not required – enabling you to make the most of your outdoor space. 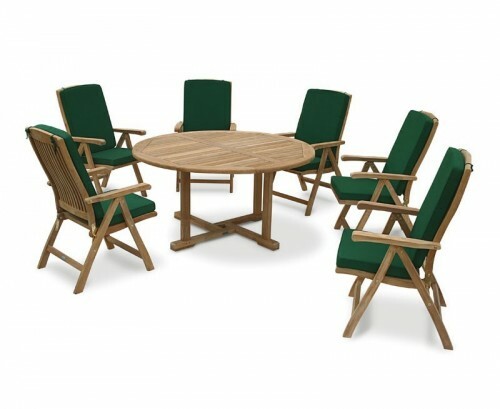 This Canfield round teak table and 6 reclining chairs set will be delivered pre-assembled for your convenience.